Congratulations to John McCutcheon for having the #1 album played by folk DJs in 2015. 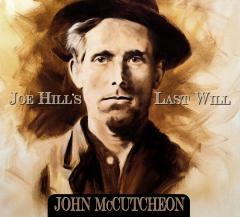 Joe Hill's Last Will (Appalsongs, 2015), took the top spot for the year. John McCutcheon also topped the chart as the top artist for 2015. This honor was based on 165326 airplays from 194 different DJs, compiled by Richard Gillmann from FOLKDJ-L, Annual Airplay Summaries.